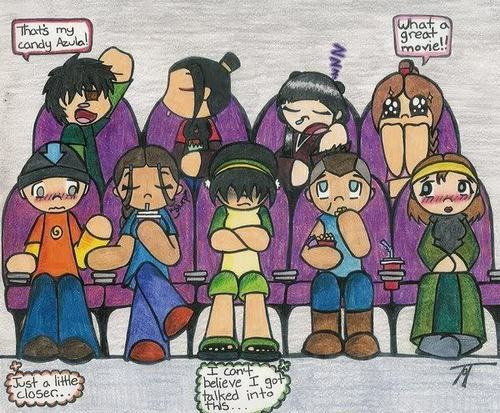 at the movies. . Wallpaper and background images in the The Last Airbender club tagged: movie sokka katara. i like what toph says!! !